NEW YORK, NY – GDC Technology Limited along with their partner DTS, a subsidiary of Xperi Corporation, have partnered with the Film Expo Group to become the Presenting Sponsor of CineAsia 2017. GDC Technology Limited is a leading digital cinema solutions provider that develops, manufactures and sells media servers, content storage systems, theatre management systems and network operations center software for the global cinema industry. GDC is a licensee of DTS:X object-based immersive sound technology from DTS for the development of its media servers. In addition, GDC also provides a suite of digital cinema products and services, including integrated projection systems, 3D products, projector lamps and silver screens. GDC Digital Cinema Network Limited, a GDC subsidiary, manages VPF for over 6,300 theatre screens and with more than 650 studios or motion picture distributors worldwide. “Having the opportunity to partner with technology giants like GDC and DTS at CineAsia 2017 is very exciting for us. We are confident this continued partnership will help the development of cinematic technologies expand throughout the region,” said Andrew Sunshine, President of The Film Expo Group. Since 1993, DTS, a wholly owned subsidiary of Xperi Corporation (NASDAQ: XPER), has been dedicated to making the world sound better. Through its pioneering audio solutions for mobile devices, home theater systems, cinema, automotive and beyond, DTS provides incredibly high-quality, immersive and engaging audio experiences to listeners everywhere. 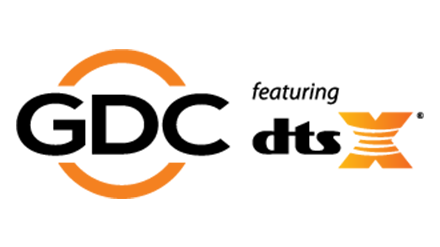 DTS technology is integrated in more than two billion devices globally, and the world’s leading video and music streaming services are increasingly choosing DTS to deliver premium sound to their listeners’ network-connected devices. For more information, please visit www.dts.com.